All three packs due out on August 6. BlazBlue: Cross Tag Battle will add nine new characters via the Character Packs 4, 5, and 6 add-ons due out on August 6, developer Arc System Works announced following the BlazBlue: Cross Tag Battle Finals at Evo 2018. Additionally, the end of the trailer for the new character downloadable content teases the appearance of a fifth franchise. 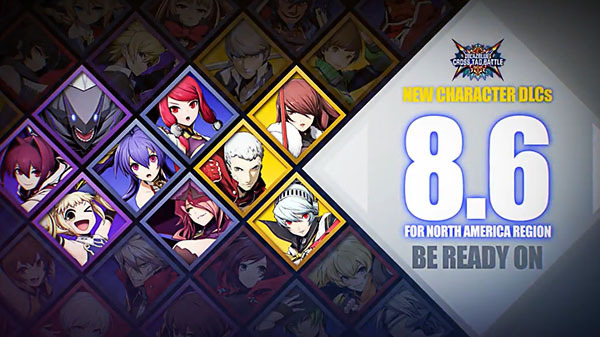 Currently, BlazBlue: Cross Tag Battle features the BlazBlue, Persona 4 Arena, RWBY and Under Night In-Birth franchises, respectively represented by blue, red, yellow, and purple diamonds. 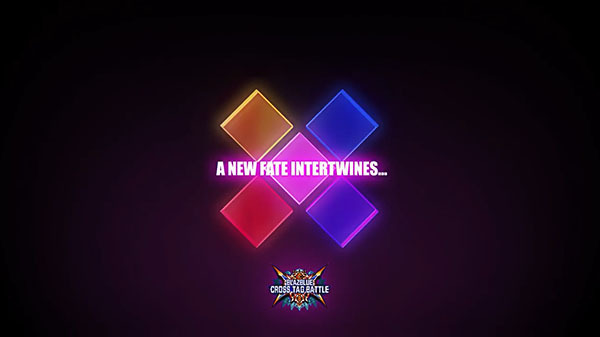 The end of the trailer adds a pink diamond with the text, “A new fate intertwines…,” pictured below. BlazBlue: Cross Tag Battle is now available worldwide for PlayStation 4, Switch, and PC via Steam. Watch the trailer below. View a set of images at the gallery.